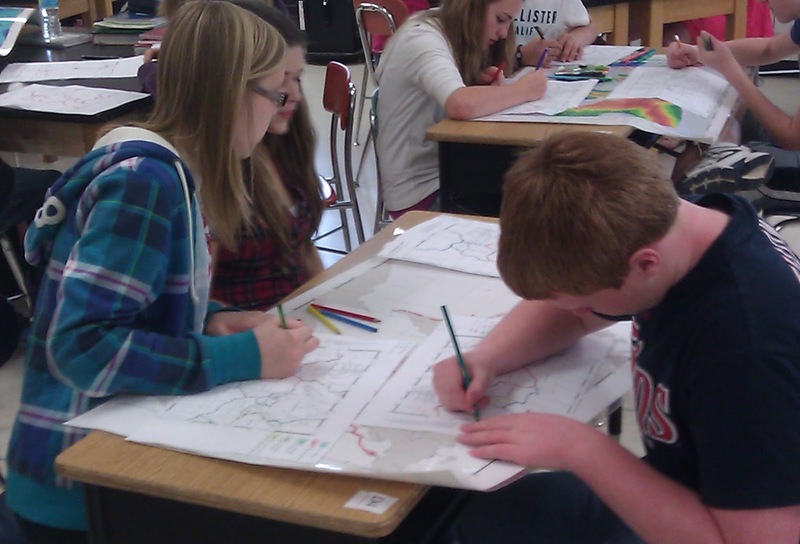 For the past few class periods, Delano 8th Grade Earth Science students have been working on the activity called 'Discovering Plate Boundaries' developed by Dale Sawyer at Rice University. 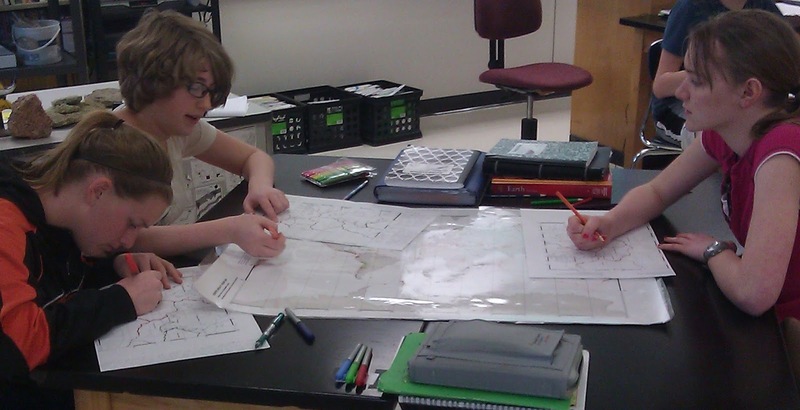 This great activity allows students to discover what occurs at tectonic plate boundaries by making observations of real data. A paper was published in the January 2005 Journal of Geoscience Education describing the activity. 1. 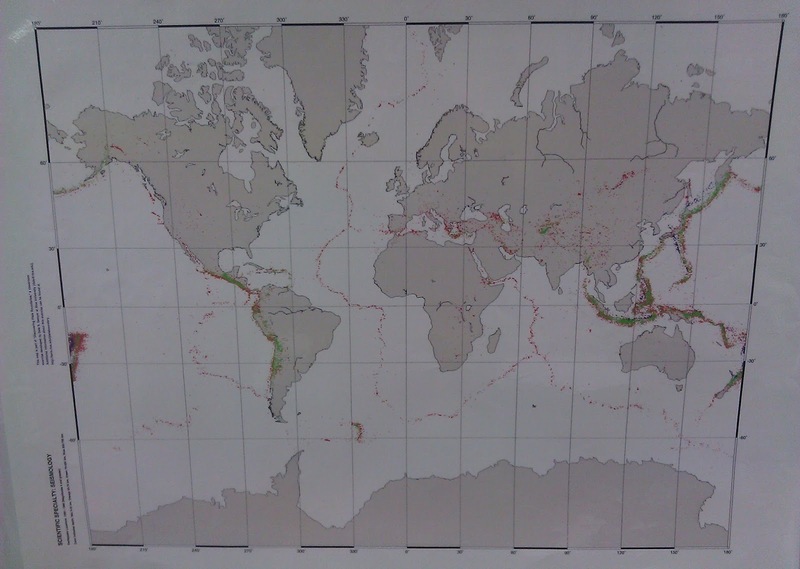 Volcanology - this maps shows the locations of currently or historically active volcanoes or volcanic features..
2. Geography - the map demonstrates the elevation above or depth below sea level in meters. 3. 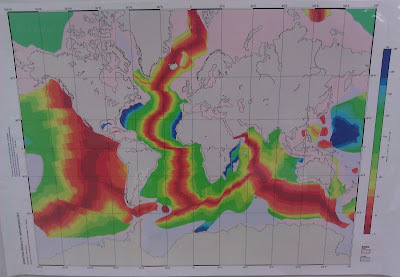 Geochronolgy - the data on this map indicates teh age of the ocean floor in millions of years. 4. Seismology - this map shows earthquakes with magnitudes greater than 4 that occurred from 1990 - 1996. 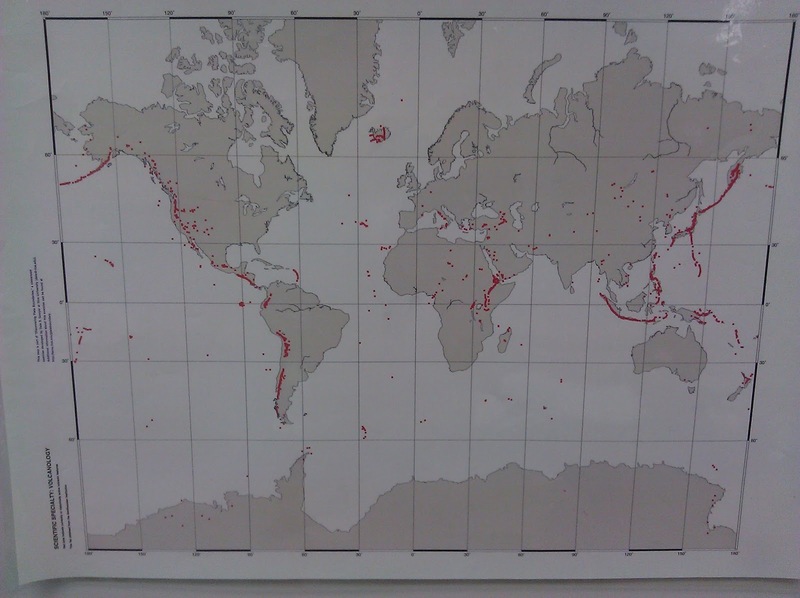 The map also indicates at which depth the earthquakes occurred. During the activity, students make observations and classify different plate boundaries based on the data provided. 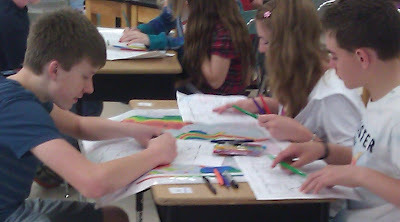 Students first focus on one of the four specialty types described on four data maps, actively placing plate boundaries into different groups due to observations made from the data. Students are then placed in new plate groups, where each group has a specialist in Volcanology, Geography, Geochronology and Seismology. This group then classifies the plate boundaries around one specific plate, i.e. the North American plate. After a short presentation from each group on the different types of plate boundaries surrounding their plate, students are introduced to the three different types of plate boundaries (divergent, convergent, and transform). 1. Divergent - areas where plates are moving away from each other. 2. Convergent - areas where plates are moving towards each other. 3. Transform - areas where plates are sliding past each other. 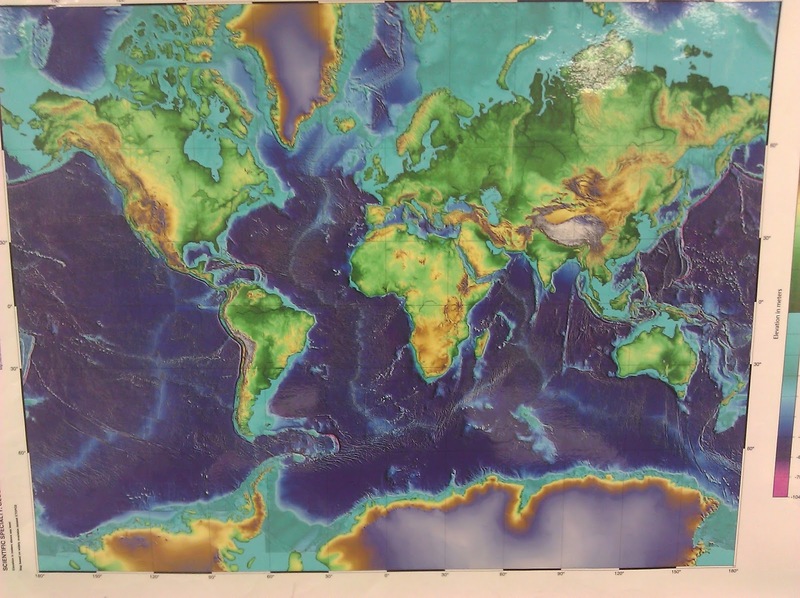 Different plate boundaries have different characteristics or features that students are now able to identify easily on their maps because they have a knowledge of what is occuring at these plate boundaries.